Mukkoti Ekadasi or Vaikunta Ekadasi is on Monday 21st December in 2015. Vaikunta Ekadashi falls during Dhanurmas in Hindu solar calendar. Vaikunta Ekadasi fasting is dedicated to Lord Vishnu or Lord Narayana. Vaikunta Ekadashi is one of the most important Ekadasi. Vaikunta Ekadashi is observed according to Solar Calendar and because of that it might fall either in Margashira or in Pausha month in Hindu Lunar calendar. Mukkoti Ekadasi occurs in December or January according to English Calendar. In Gregorian calendar there might be one or two Vaikunta Ekadasi's in a year. 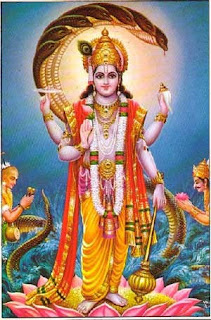 Vaikunta Ekadashi is Shukla Paksha Ekadashi. Mukkoti Ekadasi is also known as Vaikunta Ekadasi and Mokshada Ekadashi. Vaikunta Ekadashi is grandly celebrated in Tirupati, Srirangam and Bhadrachalam. Apart from these temples, all the temples dedicated to Lord Vishnu and his incarnations celebrate Vaikunta Ekadasi. Mukkoti Ekadasi day people woke up early and complete their regular activities and observe fasting throughout the day chanting the Lord Vishnu parayanam. until the sun goes down. Parana means breaking the fast. It is necessary to do Parana within Dwadashi Tithi unless Dwadashi is over before sunrise. 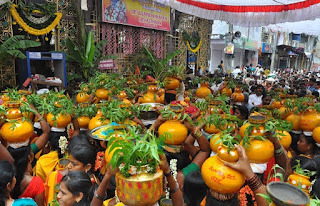 In the evening devotees offer Naveidaya, fruits, flowers, vermilon and turmeric to the Lord. Some devotees will be stay in the temples from the early morning and chanting the Lord Vishnu parayanam. On the day of Vaikunta Ekadasi temples dedicated to Lord Vishnu offer prayers, yagna's and pooja's. An estimated seven lakh devotees from across the country are expected to offer worship at Srirangam Ranganathaswamy temple. Sri Ranganatha Swamy (Moolavar) will bless devotees in Muthangi Seva (Pearls). The occasion of Vaikunta Ekadasi and Dwadashi there will be reduction in the visiting hours of Tirupathi to allot about 19 hrs for the pilgrims on Vaikunta Ekadasi and provide darshan to approximately over 60 thousand pilgrims. Mukkoti Ekadasi Tithi is at 3.30 PM on 21st December in 2015. Mukkoti Ekadasi day the temples will be opened from 2AM to do decoration and pooja. on the auspious day of Vaikunta Ekadasi it is believed that Vaikunta Dwaram is opened and devotees who observe fast on this day attain salvation the belief is that they goes to heaven after death. Vaikunta Ekadashi is known as Swarga Vathil Ekadashi followed by people of Kerala. Vaikunta Ekadashi is very important day for Tirumala Venkateswara Temple at Tirupati and Sri Ranganathaswamy Temple at Srirangam and Sita Ramachandraswamy temple at Bhadrachalam.